The lei greeting was very nice and the service was amazing. 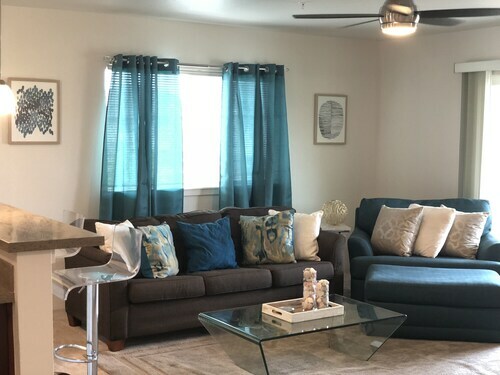 Located in the heart of Kapolei, this romantic vacation home is 1.6 mi (2.6 km) from Wet'n'Wild Hawaii and 2.5 mi (4 km) from Ka Makana Ali'i - The Center for West Oahu. Hawaiian Railway Society and Paradise Cove Beach are also within 6 mi (10 km). 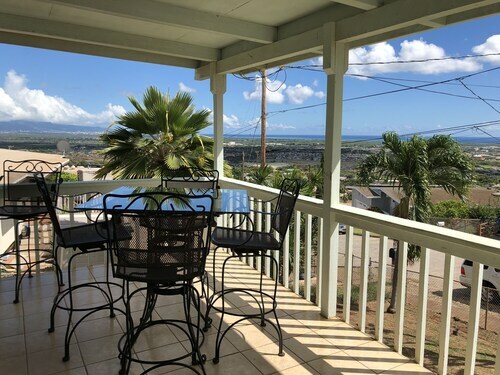 Situated in Kapolei, this vacation home is within 3 mi (5 km) of Wet'n'Wild Hawaii, Ka Makana Ali'i - The Center for West Oahu, and Hawaiian Railway Society. 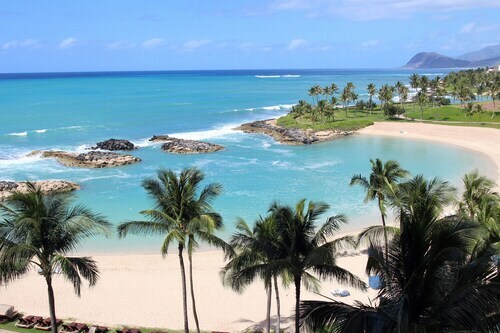 Paradise Cove Beach and Ko Olina Golf Club are also within 6 mi (10 km). Situated by the ocean, this vacation home is 2.3 mi (3.7 km) from Wet'n'Wild Hawaii and within 6 mi (10 km) of Ka Makana Ali'i - The Center for West Oahu and Hawaiian Railway Society. Ko Olina Golf Club and Coral Creek Golf Course are also within 6 mi (10 km). Situated by the ocean, this vacation home is 1.9 mi (3.1 km) from Wet'n'Wild Hawaii and 2.8 mi (4.5 km) from Ka Makana Ali'i - The Center for West Oahu. Hawaiian Railway Society and Ko Olina Golf Club are also within 6 mi (10 km). Beautiful resort. The views were breathtaking. The room was perfect. Situated by the ocean, this romantic property is 2.4 mi (3.8 km) from Wet'n'Wild Hawaii and within 6 mi (10 km) of Ka Makana Ali'i - The Center for West Oahu and Hawaiian Railway Society. Ko Olina Golf Club and Ko Olina Marina are also within 6 mi (10 km). 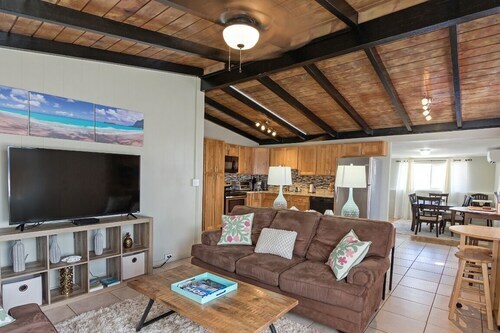 Situated in Kapolei, this vacation home is 2.6 mi (4.2 km) from Wet'n'Wild Hawaii and within 6 mi (10 km) of Ka Makana Ali'i - The Center for West Oahu and Hawaiian Railway Society. Ko Olina Golf Club and Ko Olina Marina are also within 6 mi (10 km). Situated in Kapolei, this vacation home is 1.7 mi (2.7 km) from Wet'n'Wild Hawaii and 2.6 mi (4.2 km) from Ka Makana Ali'i - The Center for West Oahu. Hawaiian Railway Society and Coral Creek Golf Course are also within 6 mi (10 km). This family-friendly Kapolei vacation home is located by the ocean, within 2 mi (3 km) of Ko Olina Golf Club and Paradise Cove Beach. Kahe Point Beach Park is 2.1 mi (3.3 km) away. Wet'n'Wild Hawaii is a nice place to explore with the family. We certainly recommend that bring your camera along too! If you'd like you visit it, get yourself to Kapolei. If you're not quite sure where that is, it's roughly 15 miles (24 kilometers) from Honolulu, the state capital. Staying in the vicinity of Wet'n'Wild Hawaii shouldn't be too difficult, with 5 hotels within 6 miles (10 kilometers). 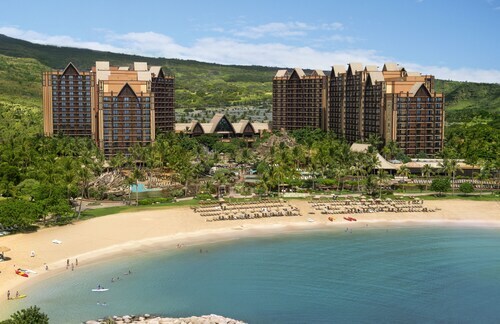 Take a look at the Aulani, Disney Vacation Club Villas and Aulani, A Disney Resort & Spa. You won't be able to take your riches with you when you're gone. Enjoy them while you can and spend a night or two at one of the several high-end hotels that are a short drive away. 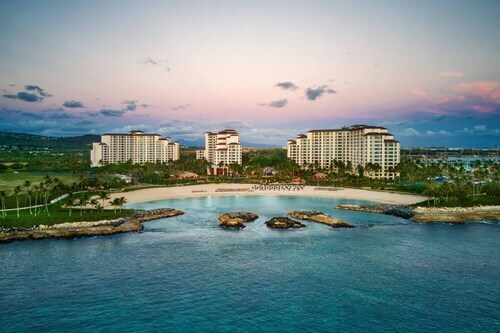 The Marriott's Ko'Olina Beach Club and Four Seasons Resort Oahu at Ko Olina are well-known. Have a seat, rest your feet and enjoy a snack at Starbucks, a well-liked place just a stone's throw from Wet'n'Wild Hawaii. Also close-at-hand is Genki Sushi, where you'll find a wider selection of meals. Finish a fun day out by heading down the road for a drink at Ruby Tuesday. Brush up on the difference between your birdies, backswings and bogeys, with a game or two at Ko Olina Golf Club. Many visitors like to see Ko Olina Marina, a pleasant marina. Give the kids endless educational fun at Hawaiian Railway Society. Score a hole in one, get a workout and test yourself at the local Coral Creek Golf Course. Hawaii Prince Golf Club is the perfect place to play a game or two and enjoy the company of new friends. How Much is a Hotel Room in Wet'n'Wild Hawaii? Hotels in Wet'n'Wild Hawaii start at $180 per night. Prices and availability subject to change. Additional terms may apply. FOR Longer Stay, Rent per Diem Adjusts, Inquire Now! 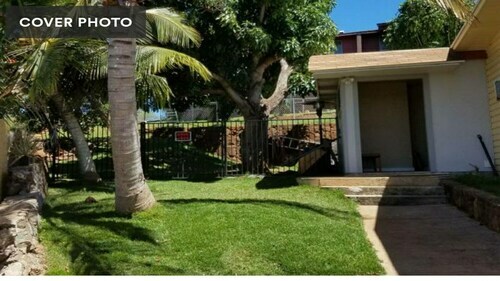 Kapolei Condo W/lanai & Pool Access - Near Beach! Say "aloha" to Sunny Days & Cozy Nights!